It was a long day, but easy miles. There were only a couple small climbs in between long stretches of flat-ish pine needle cruising. I had 15 miles done by 11am when I took a 1.5hr siesta in the cool shade of some tall pines. The truth is, a lot of today’s hiking was kind of boring, so at least least the miles were fast. I burned through a bunch of podcasts, listened to music and started the Keith RICHARDS autobiography, Life (read by Johnny Depp). 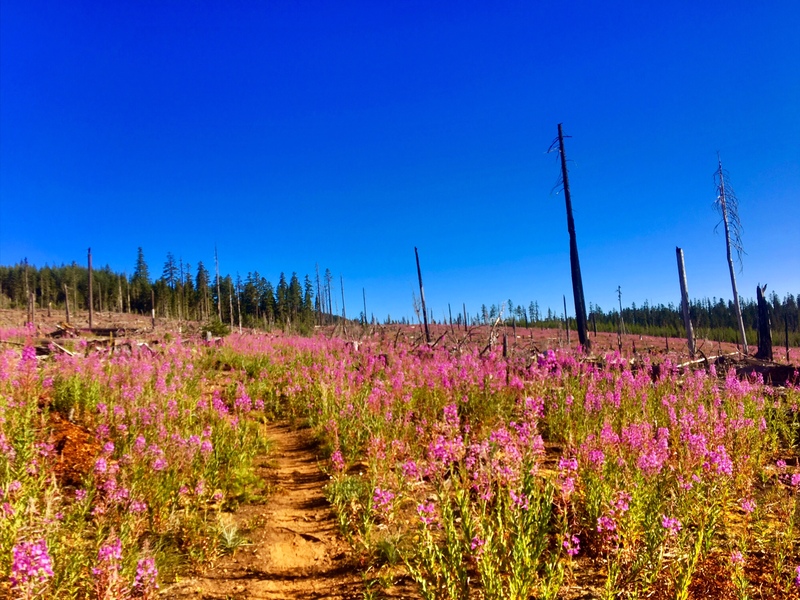 These incredible flowers seem to like the burned areas. The rest of the day would be buried in the trees which was worked out ok because it was getting really hot out in the sun. I heard Portland is supposed to be in the 100’s for several days ! This was the best sign of the day and a perfect rest stop at 3:30 after 24 miles. 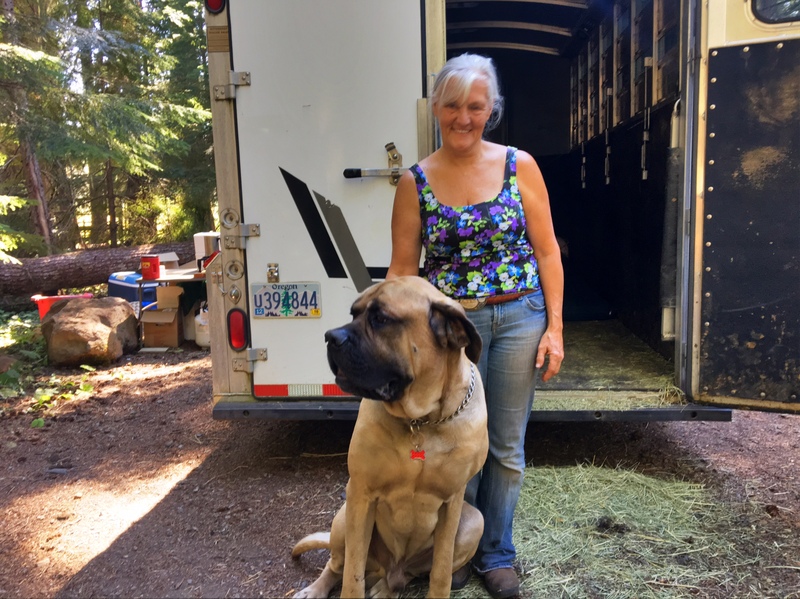 Our hosts, Connie and Dozer (the 190lb English Mastiff). 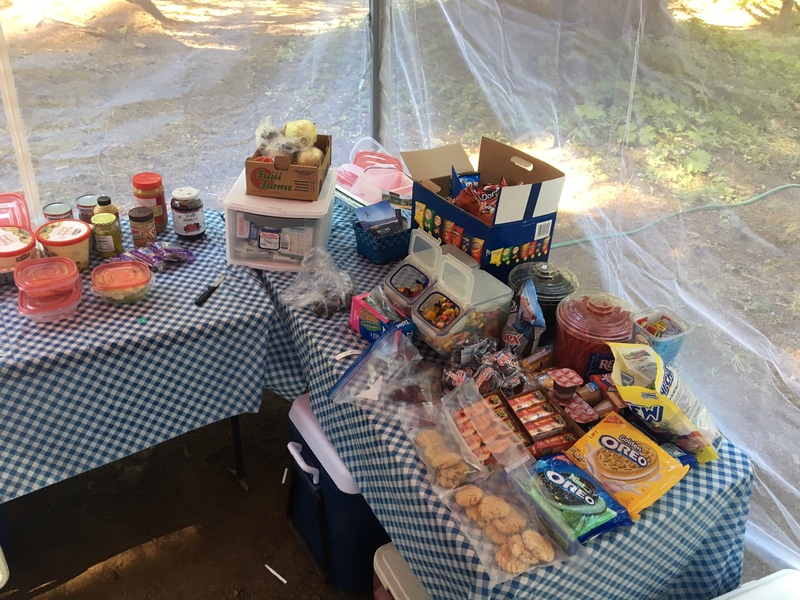 A Hiker Heaven spread, plus cold sodas ! 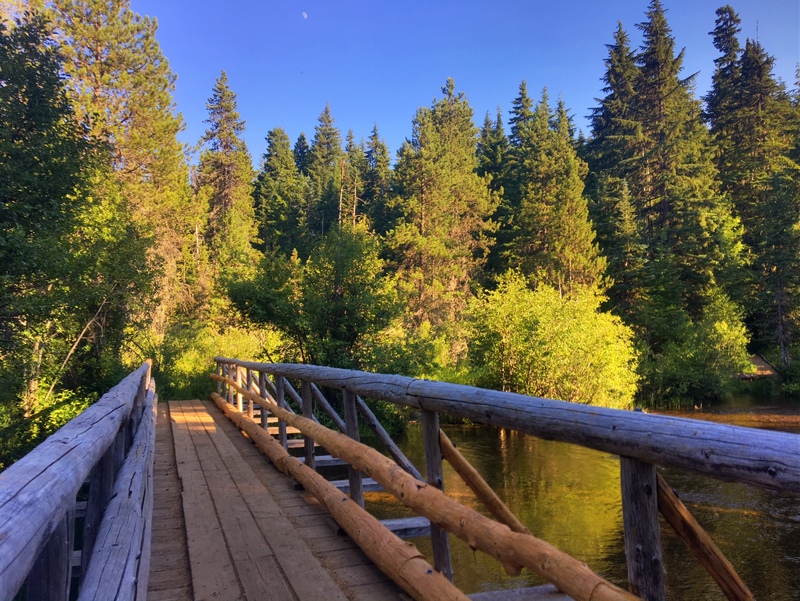 It was a pleasant evening stroll around the very popular Timothy Lake. I had only seen a handful of other hikers today (mostly at the trail magic). 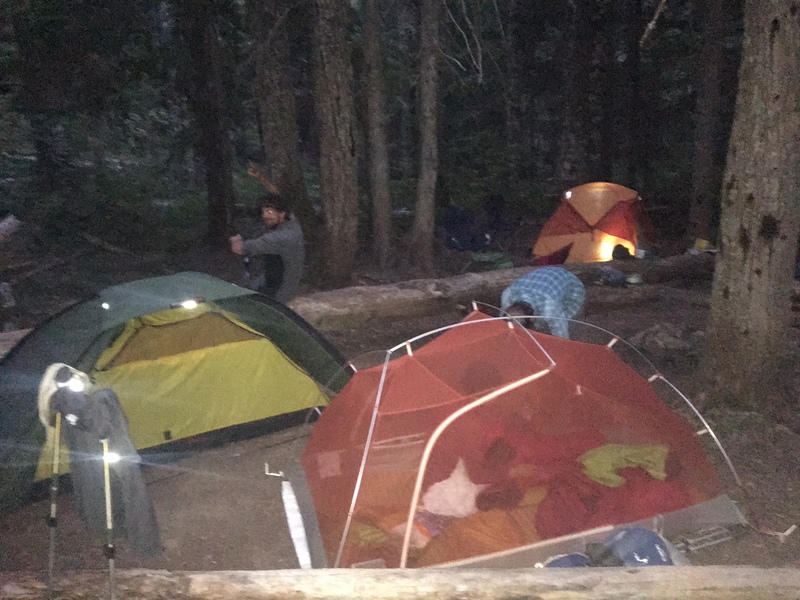 When I showed up at my campsite for the night there were 10 other folks there…luckily I knew a bunch of them (Monster, the Swiss Couple and Breeze). For those of you keeping track, one year ago today I finished the AT. By the time I’m finished with the PCT in mid Sept. I will have hiked 5000+ miles in 18 months. The date is 7/32? Hiker time?